I use a desktop with windows 7 ultimate installed in it and want to disable my USB device so no one can plug any drive and do copy paste and to avoid viruses attack from the removable devices. Tell me is there any solution or way for it? Windows 8 System stopped identifying the connected USB devices. Is it possible to charge the battery of all the devices that can be connected to the windows computer using the USB cable and port? "Unexpected Port Error." while connecting any USB devices on Windows 7 System. How can I disable hibernation from windows 7 ultimate? How to prevent PC running on Windows 8 from waking up due to any devices? "No Access" for the devices connected via USB on Windows 7 system. 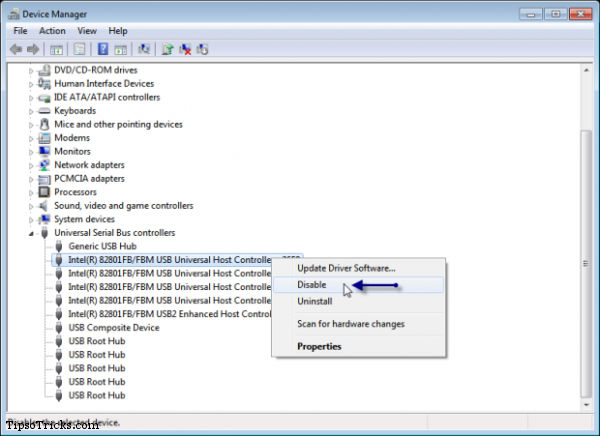 Re: Way to disable USB devices in Windows 7 Ultimate? To disable the USB you have to click on the command prompt. and have to type "gpedit.msc", then have to click on the User configuration, then you will get the Hardware settings and have to click on the USB and have to click and have to click on the disable option and exit the setup and then have to restart the Computer. If you want to protect your computer from the usb disk viruses then there is a solution for it you can install USB disk security software in the system and then you can clean the virus of the usb device when you connect to your system and also you can disable the devices which you want to disable by the control panel options provided in the start menu of the system and windows 7 ultimate is a very good os that run successfully in the supported system. 1) Press Windows Key+R and type "regedit". 2) It Opens Registry Editor of Windows 7. 3) After that browse the following path in the right side editor "HKEY_LOCAL_MACHINE\SYSTEM\CurrentControlSet\USBST OR". 4) Right Click "Start" and Click "Modify". To enable USB Ports: Change Value from "4" to "3". To Disable USB Ports: Change Value from "3" to "4". it shows u regedit " click on it . then it wants ur prmission for changing ur computer click yes. than it provids u the facility for usb enables and disables . choose ur usb number for disable. then click k.
To disable the USbdrive from your computer. 1. Altering registry values for USB Mass Storage Devices. Now in the right pane, select Start and change the value to 4. Click OK. This will disable USB Ports. (The value 3 will enable USB Storage). Press Windows + R from keyboard, type “regedit” in the “Run” window and hit Enter. in the right pane double click to open “Start” DWORD value as shown below. Change its value to 4 and click “OK” button to save changes. Close the registry editor and plug in any USB storage device to check. now assign the value "3" to enable usb ports and assign value "4" to disable usb ports. 1.If you have not ever already done so, you must connect a USB storage device to the computer now, and wait until Windows installs it and displays it in the Computer window with an assigned drive letter. 2.When finished connecting as above, disconnect the USB storage device. 4. Click on Save, and save the .reg file to the Desktop. 5. Right click on the downloaded .reg file and click on Merge. 6. Click on Run, Continue (UAC-Vista) or Yes (UAC-Windows 7), Yes, and then OK when prompted. 7. Log off and log on, or restart the computer to apply. 8. When done, you can delete the downloaded .reg file if you like. Step 1: First You go to Run Prompt and Write the "regedit"
step3: select start and change the value to 4.click ok.
step4: then it is disable of USB port. Then that 4 means it is disable in a USB port..
3. Change its value to 4 and click “OK” button to save changes. Close the registry editor and plug in any USB storage device to check. STEP II :- In device manager expand Universal serial bus controllers . Right click on USB port and select disable. 1. Press Windows Key+R to open the "RUN" dialog box and type "regedit". 2. It will open Registry Editor of Windows 7. 3. Now, Browse the following path in the right side editor "HKEY_LOCAL_MACHINE\SYSTEM\CurrentControlSet\USMST "
4. Right Click "Start" and Click "Modify". 5. To disable USB Ports: Change value from "3" to "4"
To enable change value from "4" to "3". 3) After that browse the following path in the right side editor "HKEY_LOCAL_MACHINE\SYSTEM\CurrentControlSet\U SBST OR". Well you can disable USB devices through following ways and here I am suggesting you 3 ways to disable a USB device. to disable the USB devices .. Right click on My computer.. and Chose Manage option..
Now click on Device manager..
Then you can Disable USB drive. You can easily disable USB Devices in Windows 7 Ultimate. Just right-click on My Computer on the Desktop. Now, click on Manage option and then choose Device Manager in the left pane. After that, click on Universal Bus Controllers. Here, you can easily disable the USB which you want. 2.Then click on the 'Run'. 3.There you type 'RegEdit' and click on 'OK'. 4.Now the registry editor will open. 5.Then you go to the 'HIKEY_LOCAL_MACHINE'. 6.Then from there go to 'System'. 7.Then you navigate to the 'current Control Set'. 8.Now click on the option 'USBST OR'. 9.Then make a double click on start. 10.There you change the value to '3 to 4' to disable it. Click on regedit.there you can change the keys with out your permission. There are three ways an administrator can prevent using of USB Drives. 1 Altering registry values for USB Mass Storage Devices. 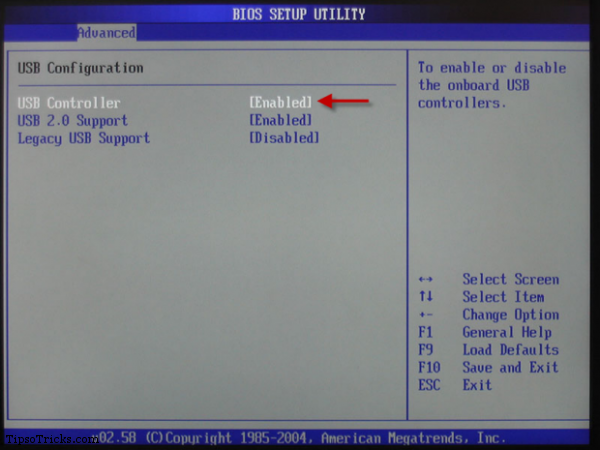 2 Disabling USB Ports from Device Manager. 3 By Un-installing the USB Mass Storage Drivers. Lets us look at how we can fix these problems and enable USB on Windows 7 PC. 1. Disable or Enable USB Mass Storage Devices using Registry. If the administrator is smart then he would definitely do this to ensure a tight blockade. He would alter the settings through regedit command on run console. Now how do you unlock it ? You have to go right into where the administrator has been. Here is how. 3 In the right pane, select Start and change the value to 3. (The value 4 will disable USB Storage). Click OK. This will re-enable USB Ports and allow you to use USB or Pen drives. 2. 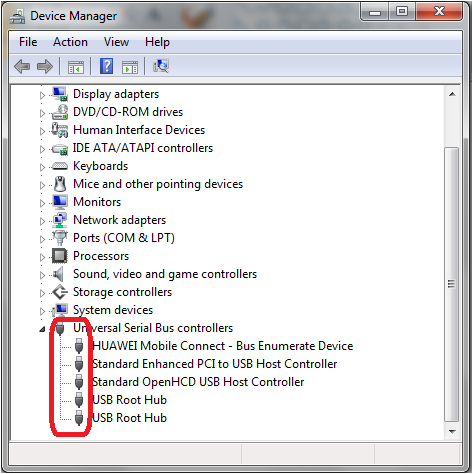 Disabling USB Ports from Device Manager. If you still don’t find your USB drive working, you may have to look into the Device Manager. The Administrator could have possibly disabled the USB port here. Check out for any possibility in the Device Manager and enable the disabled port by right clicking on selected one and click Enable. 3. By un-installing the USB Mass Storage Drivers. If the authorities are really worried about security in the school they would take the extreme step of un-installing the USB Mass Storage Drivers. To make things work, just install the device drivers. Here is how you do it. As when you plug-in your USB drive, Windows will check for drivers, if not found Windows will prompt you to install the driver. This would definitely unlock the Pen drive at your School or office. Dear most of the marl ware are spread through USB drive so dear you can make changes in your computer and save your computer from virus attacks. Dear here is the simple way to disable your USB device. >> Dear right click on my computer and choose manage option and from the left pane choose the device manger. >> Dear as device manger open in your screen now look for the USB device in the right pane and right click on the device and choose disable option to disable the device. 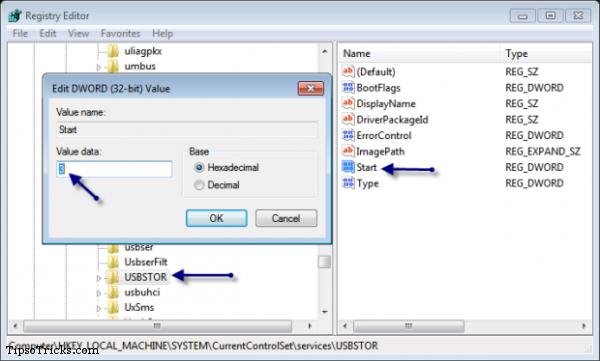 The following is the procedure for solving the problem of disabling USB devices in Windows 7 Ultimate. At first you have to go to my computer. Then the manage option is to be selected. Now you need to press the device manager option. After that the option of devices and printers is to be tapped. There you can disable the USB device . By editing registry,using regedit from the Command Prompt with an Administrative Priviledge. When you do this, users cannot install a USB storage device on the computer. 1ST-->>.If you have not ever already done so, you must connect a USB storage device to the computer now, and wait until Windows installs it and displays it in the Computer window with an assigned drive letter. 2ND-->>.When finished connecting as above, disconnect the USB storage device. 4TH-->>. Click on Save, and save the .reg file to the Desktop. 5TH-->>. Right click on the downloaded .reg file and click on Merge. 6TH-->>. Click on Run, Continue (UAC-Vista) or Yes (UAC-Windows 7), Yes, and then OK when prompted. 7TH-->>. Log off and log on, or restart the computer to apply. 8TH-->>. When done, you can delete the downloaded .reg file if you like. Right click on it and then select the option Disable. Now the USB devices are disabled on your system.that's it. If you want to disable usb their is a very easy and simple method you can just download a software named "disable usb" from link "www.intelliadmin.com/index.php/usb-disabler-pro/". Follow these steps If you haven't at any time presently succeeded in doing so, you need to connect some sort of USB storage gadget to the computer at this point, in addition to choose Microsoft windows loads the item in addition to displays the item inside Laptop eye-port having an assigned travel letter. When completed joining because above, detachment the particular USB storage device. Acquire the particular underneath report: Disable_Connecting_USB_Storage_Devices.reg Check out Help you save, in addition to save the particular .reg report towards Desktop. Correct go through the delivered electronically .reg report and then click Merge. Check out Perform, Keep on (UAC-Vista) or maybe Sure (UAC-Windows 7), Sure, then OK any time prompted. Journal off in addition to go, or maybe reactivate your computer in order to apply. When done, you may delete the particular delivered electronically .reg report in case you like. How to install Windows 8 with the help of USB? How to do it? As Windows 8 is mostly concentrated for touch screen devices, Will it be a good seller for the PC based systems?